The interest expense on credit cards can make it difficult to pay off a large balance. On rewards credit cards, interest negates the benefit of the rewards you’ve earned. Fortunately, many credit card issuers offer 0% credit cards that allow you to pay no interest on purchases or balance transfers or both. You can take advantage of these no interest credit cards to pay off a large purchase at no interest or to transfer a high interest rate balance. The best 0% credit cards have longer balance periods, no fee on balance transfers or offer the promotional rate to both balance transfers and purchases. You’ll find a few of each type on our list of the best 0% credit cards. Balance transfer fees on large balances can get expensive. If you’re transferring a large balance, the Chase Slate is the best option for eliminating the cost of transferring a balance. Chase Slate charges no balance transfer fee on balances transferred within the first 60 days of opening your account. Balances transferred after the first 60 days are charged a fee of 5% or $5, whichever is greater. Purchases and balance transfers both get 0% interest for 15 months from account opening. After that, the regular APR of 17.24 to 25.99% applies. There’s no penalty APR and no annual fee. When you get a good thing, you want it to last for as long as possible. And that’s exactly what you get with the Citi Simplicity – 21 months of no interest on balance transfers and 12 months of no interest on purchases. That’s almost two years with no interest. After the 0% interest period expires, the regular APR is 16.24 to 26.24%, based on your creditworthiness. If you take advantage of the 0% interest rate for a balance transfer, you’ll be charged $5 or 5% of your balance as a balance transfer fee. There are no late fees, no penalty rate and no annual fee. Another perk: You get to choose your own payment due date so your payment is due at the most convenient time for you and your expenses. 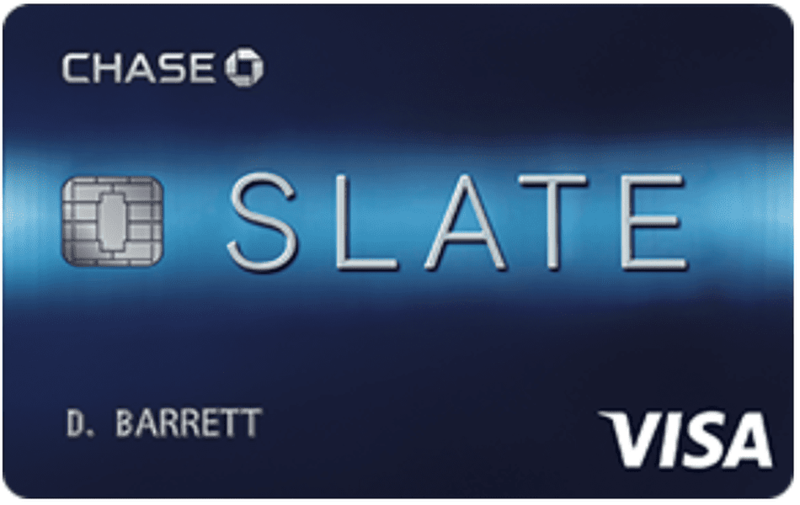 The BlueCash Everyday Card from American Express pays cash rewards on purchases and has a 0% introductory APR on balance transfers and purchases for the first 15 months – with no annual fee. After the introductory period has expired, the APR is 15.24 to 26.24%. If you use your credit card to transfer a balance, you’ll pay a fee of $5 or 3% of the transaction. Get $200 back after spending $1,000 with your new card within the first 3 months of opening it. Your purchases on the BlueCash Everyday Card earn rewards. You’ll earn 3% cash back at U.S. supermarkets on up to $6,000 per year; 2% cash back at U.S. gas stations and select U.S. department stores and 1% cash back on everything else. Balance transfers don’t count toward earning the spending bonus. View details about this credit card. Discover consistently receives rating and awards for its customer service. That’s just one of the things that makes the Discover it one of the best 0% credit cards. The 0% introductory APR applies to both purchases and balance transfers for 14 months. After that, the regular APR is 13.99 to 24.99%. The balance transfer fee on the Discover it is 3%. You can also earn rewards on your purchases. Up to $1,500 in purchases in certain categories earn 5% rewards. The categories rotate each quarter, often based on seasonal purchases. Make sure you register for the 5% rewards so you can start earning at the beginning of the quarter. All other purchases earn 1% cash back. Discover automatically matches cash back at the end of the first year for all new cardholders. You’ll get a few other perks with the Discover it. A free FICO score is included with each of your monthly billing statements. Plus, the Freeze it on/off switch allows you to turn on and off access to your credit card to prevent fraudulent charges. The Capital One Venture is a flat-rate travel rewards credit card that offers a 0% interest rate on purchase for the first 12 months of opening your account. The regular APR is 14.24 to 24.24%. You’ll earn an unlimited 1.25 miles per dollar on all purchases you make on your credit card purchases. New cardholders have the opportunity to earn 20,000 bonus miles after you spend $1,000 on your credit card in the first three months of opening your account. You can redeem miles as a statement credit towards any travel purchases you make on your credit card. You can earn an unlimited number of rewards and your rewards never expire as long as your account is kept in good standing. The U.S. Bank Platinum Visa Card offers 0% introductory APR on purchases and balance transfers for 20 billing cycles. After that, the APR is 12.24 to 24.24%. The card offers a few other perks. You can choose your own due date and get access to your free TransUnion credit score. Pay your cell phone bill with your credit card and get free cell phone protection coverage up to $600 in case of damage or theft. Coverage applies to up to three phones and the deductible is only $25. You can use this to supplement your carrier’s insurance or cancel your carrier’s insurance completely and save money on your cell phone bill. The Bank of America Travel Rewards for Student credit card offers 0% introductory interest rate on purchases for the first 12 billing cycles. The regular APR is 16.99 to 24.99%. In addition to enjoying interest-free purchases for a year, students who choose the Bank of America Travel Rewards for Students credit card earn travel rewards on purchases as well. Ongoing, students will earn 1.5 points for every dollar spent on purchases. Plus, there’s an opportunity to earn 25,000 bonus points after spending $1,000 on purchases in the first 90 days of opening your account. The bonus can be redeemed for a $250 statement credit toward travel purchases made on your credit card. Students who also have an active Bank of America checking or savings account can earn a 10% bonus on rewards. Rewards can be redeemed on any airline or hotel purchase at any time. You’ll also have access to your FICO score through Bank of America’s Mobile Banking app or via online banking. This benefit is a plus for students who are beginning to build their credit scores. Which of Bank of America's Three Student Credit Cards is Best for You?